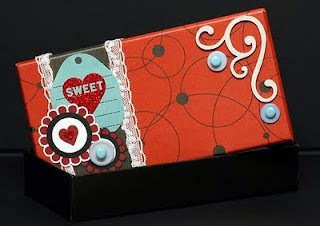 My Crafty Place: Sweet.. box! 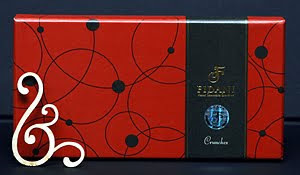 Since I am lucky to have this beautiful box of chocolate with red and bronze(brown) color I just add on some touches on it. 6) I painted the swirl wood with white, let it dry. 7) I took off the tail of the brads and put 3d dots at the back and stick it on the buttons. 8) I positioned to stick the wood and buttons with brads on it to the box.